Designed to satiate fashionistas with this unique creation, this leather jacket is a piece of art. 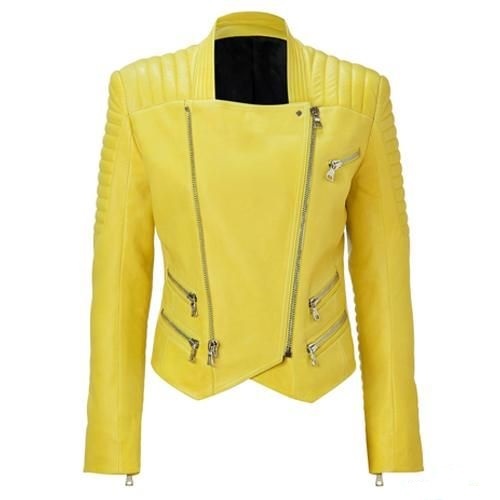 Available with the renowned manufacturing hub of Alanic Clothing, this light-yellow leather jacket is a sophisticated representation of the best of fashion. The two side zips allow easy fit, whereas the pockets too are secured with zip closure. 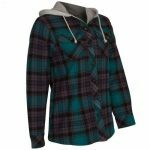 The unique collar along with the long sleeves render a smart finish to the nifty design of the jacket. 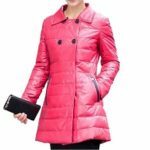 Ideal for both casual and formal occasions, this elegant version of a leather jacket is a must buy for all fashion loving women.